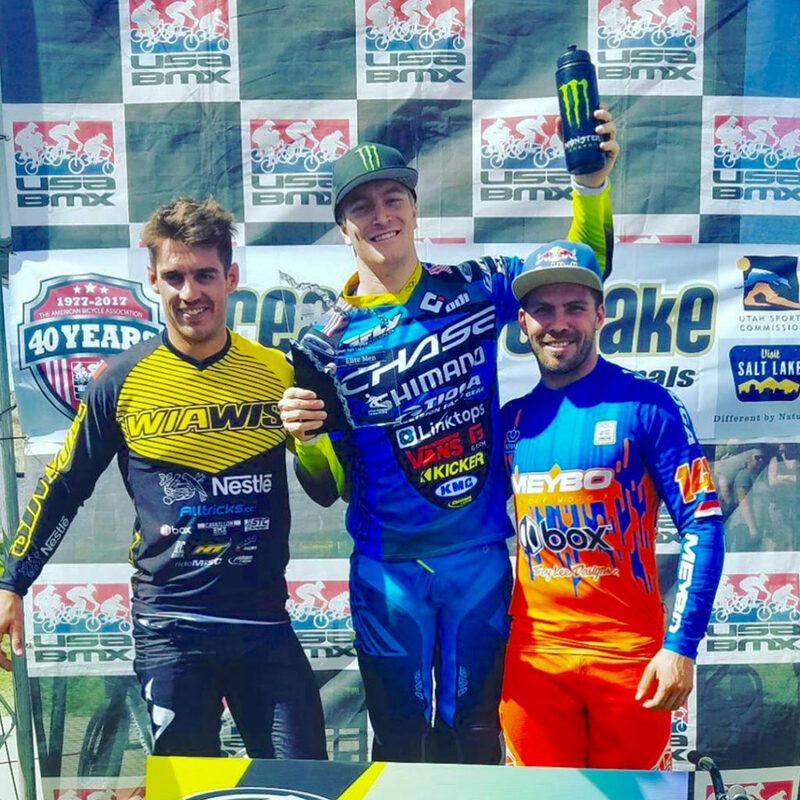 Fields wins both days at USA BMX Great Salt Lake City Nationals ! 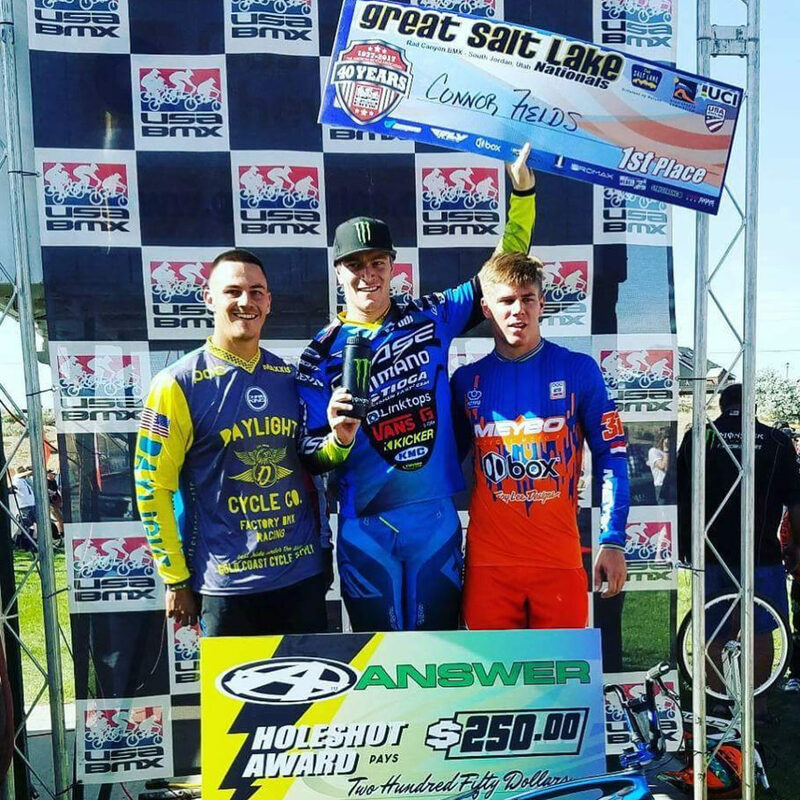 Round 7 of the 2017 USA BMX Pro series was held in Rad Canyon BMX in Salt Lake City, Utah for the Great Salt lake City Nationals. 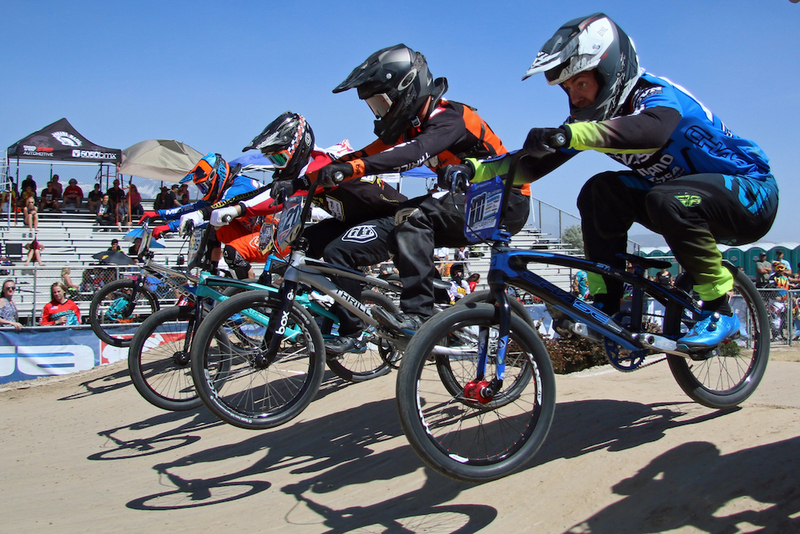 One of the Pros favorite stops on the tour, this traditional BMX track as a long first straightaway that tests the pros for track speed and high speed turning skills as they are at top speed entering turn #1. With a name like Rad Canyon, you’d expect some epic racing, and the Chase Pro team did just that this weekend! The Chase Pro trio of Connor Fields, Joris Daudet, and Romain Mahieu were all in attendance aboard the Chase Carbon ACT 1.0 frames, looking to have a good weekend of racing, and come the end of Saturday night, they would all have a stellar weekend of racing. On Friday night, Day 1 of racing for the AA Pros, all 3 of the riders made their way into the main event. When the Gate dropped, Connor and Joris had a battle down the first straight away, with Connor out powering Joris. Connor would enter the turn with lead and hold that position the entire lap, taking the win. Joris and Romain would get stuck in the pack and battle their way back. Romain would finish 5th and Joris 6th. 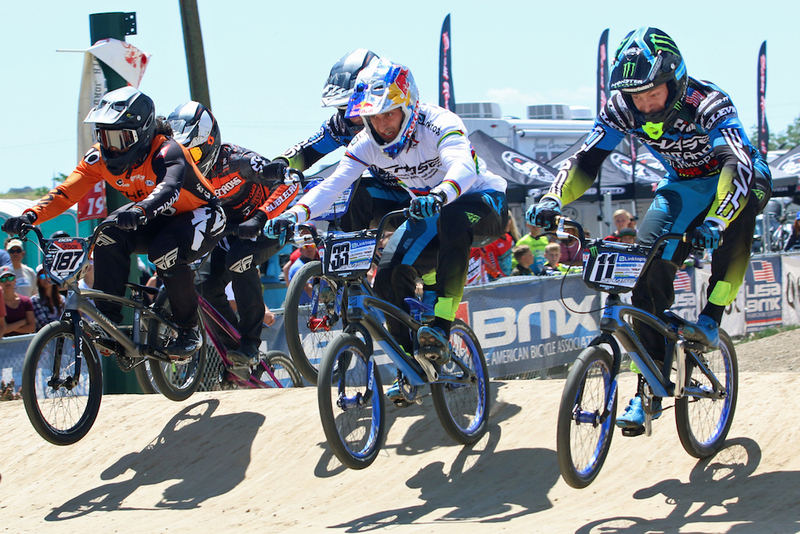 On Day 2, once again all 3 riders raced their way into the main event. Once again, when the gate slammed for the main event, Connor turned on the turbos and took the hole shot and the lead into turn one. 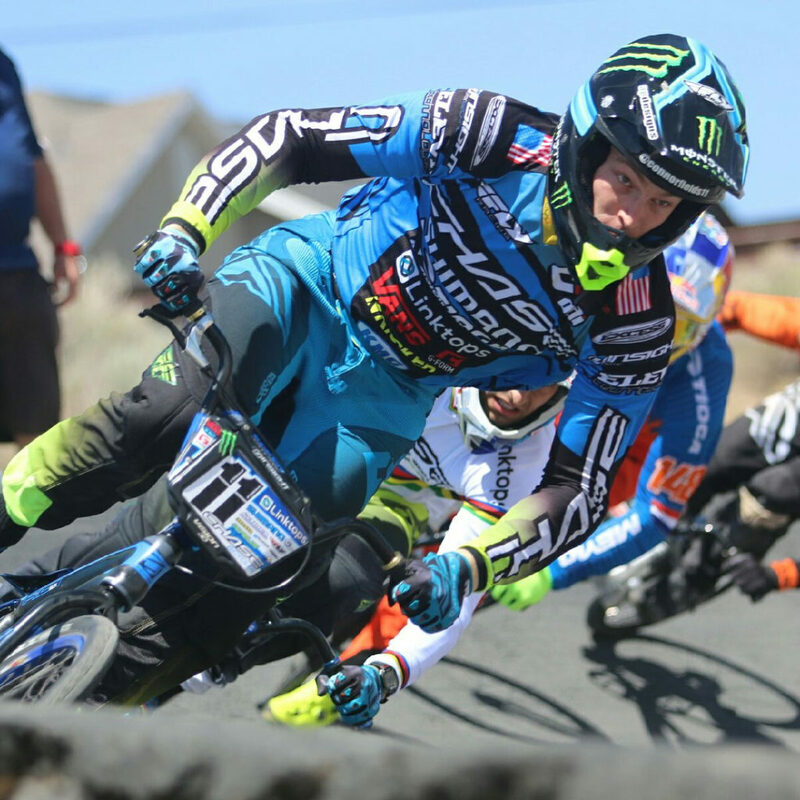 Connor would ride his way to back to back wins in Utah, wrapping up a great weekend for hi,. Joris and Romain were in the mix, and both just missed the podium with a 4th and 5th for the day. Another great weekend for the boys in Fly Blue. Next up for the riders in South Park, Pa and then a small break until the UCI BMX World Championships. With the pace by all 3 riders, it will be an interesting next few races for the Chase Pros and we are excited to see who will #winwithchase at these upcoming events! As always, we want to thank our team riders and great group of supporters and sponsors of the Chase BMX Pro team!